Ferentino still possesses remains of ancient fortifications. The lower portion of the outer walls, which probably did not stand free, is built of roughly hewn blocks of a limestone which naturally splits into horizontal layers; above this in places is walling of rectangular blocks of tuff. 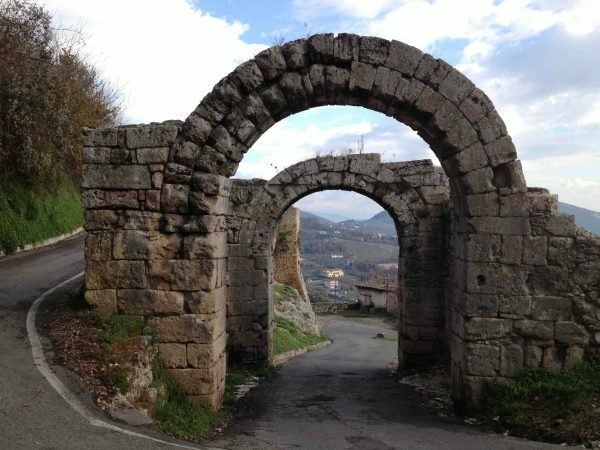 Two gates, the Porta Maggiore, a double gate constructed entirely of rectangular blocks of tuff, and the Porta Sanguinaria (with an arch with tuff voussoirs), are preserved. Outside this gate, the testament of Aulus Quinctilius Priscus inscribed in the rock. The highest part of the town, the acropolis (2nd-1st centuries BC), is fortified also; it has massive retaining walls similar to those of the lower town. At the eastern corner, under the present episcopal palace, the construction is somewhat more careful. A projecting rectangular terrace has been erected, supported by walls of quadrilateral blocks of limestone arranged almost horizontally; while upon the level thus formed a building of rectangular blocks of local travertine was raised. The projecting cornice of this building bears two inscriptions of the period of Sulla, recording its construction by two censors (local officials); and in the interior, which contains several chambers, there is an inscription of the same censors over one of the doors, and another over a smaller external aide door. The windows lighting these chambers come immediately above the cornice, and the wall continues above them again. The whole of this construction probably belongs to one period. 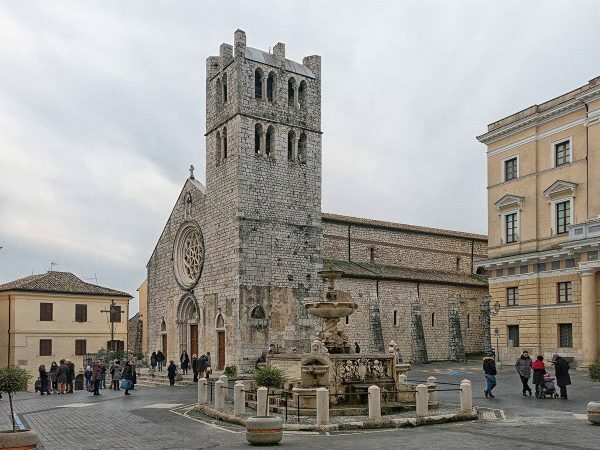 The Cathedral of Ferentino: of Sts John and Paul occupies a part of the level top of the ancient acropolis; it was reconstructed on the site of an older church in 1099–1118; the interior was modernized in 1693, but was restored to its original form in 1902. It contains a fine ciborium in the Cosmatesque style and a 12th-century mosaic pavement. The Gothic church of Santa Maria Maggiore, in the lower town (13th-14th century), has a very fine exterior; the interior, the plan of which is a perfect rectangle, has been spoiled by restoration. Other religious edifices include the Benedictine church of San Valentino (mostly remade after World War II, but still including 13th-century frescoes) and the Romanesque monastery of Sant’Antonio Abate, which housed the remains of Pope Celestine V until 1327. The latter’s heart is preserved in the small convent church of the Clarisse (17th century). Alatri has well-preserved fortifications constructed of tetrahedral and polygonal blocks of local limestone well jointed. It is almost entirely an embanking wall, as is the rule in the cities of this part of Italy, with a maximum height, probably, of about 9 metres (30 ft). Two of the gates (of the perhaps five once existing) are still to some extent preserved, and three posterns are to be found. In the centre of the city rises a hill which was adopted as the citadel. Remains of the fortifications of three successive periods can be traced, of which the last, perhaps a little more recent than that of the city wall, is the best preserved. In the first two periods the construction is rough, while in the third the blocks are very well jointed, and the faces smoothed; they are mostly polygonal in form and are much larger (the maximum about 3 by 2 m) than those of the city wall. A flat surface was formed partly by smoothing off the rock and partly by the erection of huge terrace walls which rise to a height of over 15 metres (49 ft), enclosing a roughly rectangular area of 220 by 100 metres (720 by 330 ft). Two approaches to the citadel were constructed, both passing through the wall; the openings of both are rectangular. The architrave of the larger, known as Porta Maggiore, measures about 5 metres (16 ft) in length, 1.5 metres (4.9 ft) in height, 1.8 metres (5.9 ft) in thickness; while that of the smaller is decorated with three phalli in relief. Later, though probably in ancient times, a ramp was added on the northern side. In the centre of the arx was a building on the site of the present cathedral, of which only a small portion is preserved. Remains of a high-pressure aqueduct, which supplied the town with water and was constructed with other public buildings by L. Betilienus Varus, may still be traced. A temple was excavated in 1889 a few miles to the north of the town, and many fragments of the painted terracottas with which it was decorated were found. A reconstruction of it has been erected in the National Etruscan Museum at Rome. Anagni still maintains the appearance of a small medieval hill town (475 meters above sea level), with small twisting streets and steep lanes. 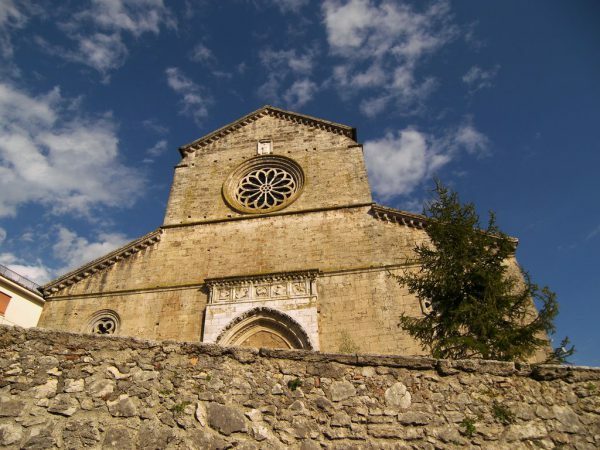 Anagni is connected to the events in the life of Boniface VIII, the fourth Pope to be born in the city, and a member of the powerful Caetani Family. He was elected after the abdication of Celestine V, but opposed by French Cardinals and by the powerful Colonna Family. 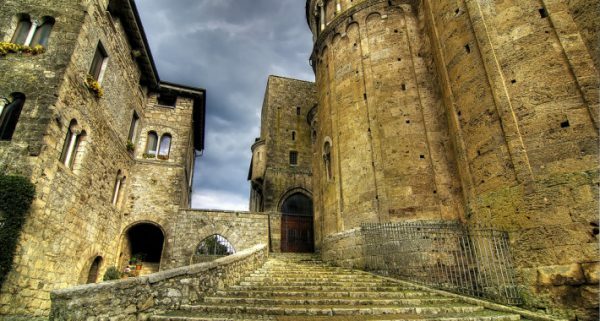 The Papal Palace (or Boniface VIII’s Palace), the scene of the “Anagni slap”. The Communal Palace, built by the Brescian architect Jacopo da Iseo in 1163. It is made up of two pre-existing edifices connected by a portico supporting the large Sala della Ragione (“Reason Hall”). The façade sports the coat of arms of the Orsini and Caetani families. The castle of Fumone was the main Papal stronghold in southern Latium. Today it houses an archaeological museum. Pope Celestine V was jailed here after his renunciation of the papal throne. Also notable is the church of Santa Maria Annunziata, which houses relics of St. Sebastian. The playground Rainbow Magic, a unique place of its kind, able to fascinate young and old alike with over 35 attractions created to satisfy the most varied tastes. 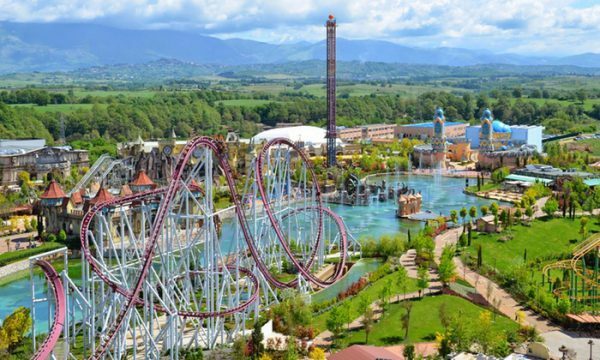 Gattobaleno, the Winx, wizards, fairies and heroes invite visitors to enter a mondoincantato where there is only one rule to follow: have fun! Yucatan, the Huntik 5D, the Flying Island, the Planetarium and the Alpheus Castle are some of the most fascinating attractions, while the more adventurous will not give up the shock, the adrenaline roller coaster flaming red, nor Mystika, the freefall tower.